Maya the Bee: The Honey Games DVD and Blu-ray release date was set for May 1, 2018 and available on Digital HD from Amazon Video and iTunes on May 1, 2018. With the summer harvest done and the anticipated Honey Games beginning, Maya and her hive are abuzz with excitement. 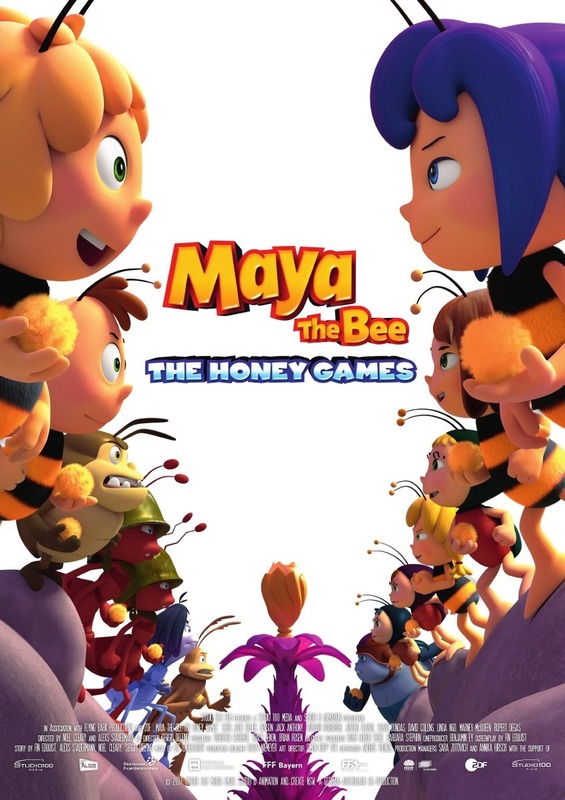 Instead of being invited to take part in the Buzztropolis games by the Empress, she orders Maya's hive to give up half of their honey for the athletes. Maya arrives at Buzztropolis to protest but things get sticky. The Empress then decrees: if Maya wins, the hive keeps all of their honey but if Maya loses, their honey will be hers. With the fate of the hive at stake, Maya and her team must learn to work and trust each other.